Pure, powerful and controllable relief for labour pain PLUS contraction timing. MamaTENS MyTime is the New Generation of Maternity TENS machine that relieves pain AND times your contractions in labour. MamaTENS MyTime is the only maternity TENS unit on the market with the ability to monitor contraction times and length of time in labour with the addition of extra high levels of pain relief, using comfort strength control. So, there is no need to have your birthing partner monitoring these times on a stopwatch. It’s all integral to the TENS machine. MamaTENS MyTime “Labour Log” measures the duration and intervals of contractions, letting you know how your labour is progressing. MamaTENS MyTime “Pad Alarm” ensures perfect pad contact. MamaTENS MyTime “Comfort Strength Control” maintains a constant output and avoids unpleasant changes. Tiny steps in strength give smooth, comfortable control. 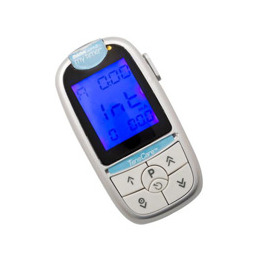 MamaTENS MyTime is a digital TENS unit, giving you choice of sensations and simple controls for all stages of labour (essential when you have other things on your mind) right up to birth. MamaTENS MyTime has a unique RAMP feature, allowing you to quickly increase the strength up to the level you want as each contraction starts. MamaTENS MyTime is the strongest unit available. MamaTENS MyTime has an integral pad and lead. The pads can be repositioned 20-30 times. The special large pads are designed to cover all the nerves from the abdominal area. If you are suffering acute feverish conditions or infectious diseases. If you have, or have had, epilepsy you must obtain the full approval of your doctor prior to using TENS. 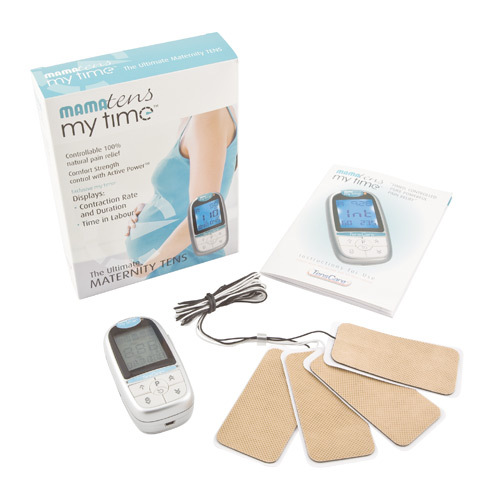 Below are reviews of TensCare MamaTENS MyTime - Maternity TENS Machine by bodykind customers. If you have tried this product we'd love to hear what you think so please leave a review. MamaTENS MyTime is the only maternity TENS unit on the market with the ability to monitor contraction times and length of time in labour with the addition of extra high levels of pain relief, using comfort strength control.